Dues: $ 175.00/ Monthly (Dues increased 02/2018) Late fee of $2.33 on 21st. 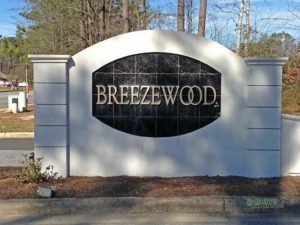 ALL PAYMENTS SHOULD BE MADE OUT TO BREEZEWOOD 1 HOA AND SENT TO HOA MANAGEMENT COMPANY 3107-B SOUTH EVANS ST. GREENVILLE, NC 27834. PLEASE REMEMBER TO INCLUDE YOUR UNIT NUMBER ON THE MEMO LINE OF YOUR CHECK.